A collection of beautiful DIY minimalist Christmas ornaments I’ve come across! I love the Nordic, snowy feel of the stark white, but, like any great DIY all of these can be modified to fit your space, color choices and likes. 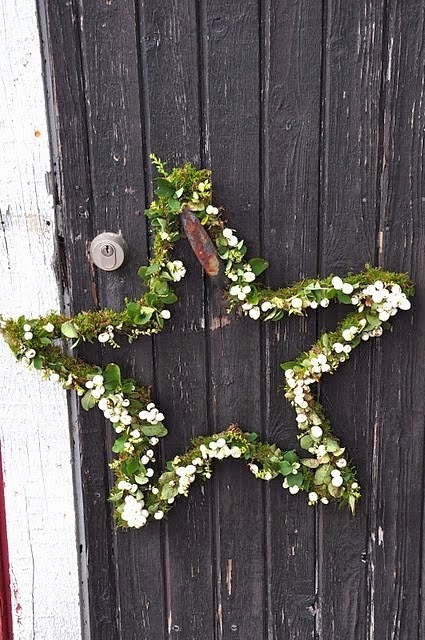 I’m not usually a fan of Star Wreaths, but this one, I totally love! The simple green, thin frame and white flowers or berries are just perfect! Although this was original on a wedding site, I think it screams Christmas! The canvas background can be what ever color you like, and the using ornaments that suit your decor can make this a totally personalized piece. This beautiful window ornament would also look great on a mantle piece or side table. The flowers here are fancy daffodils, but I imagine this would look stunning with tulips or snow drops as well. 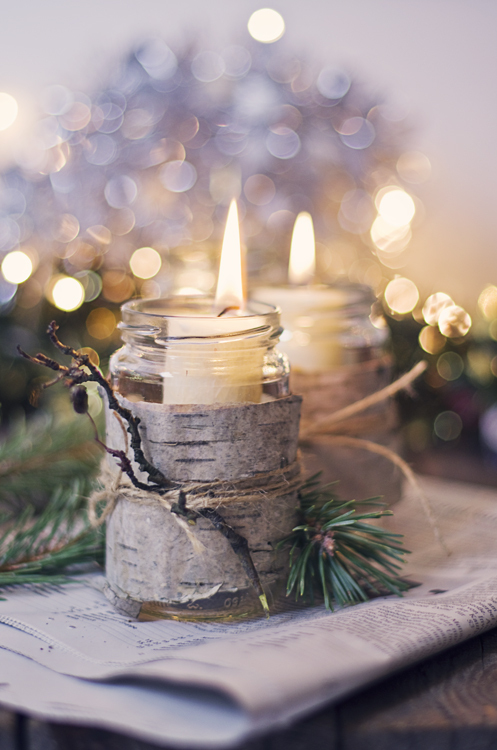 Recycle an old jar to create this rustic Christmas Candle. This is a lovely way to bring the outdoors in, and a bit of the Christmas spirit with it. Create a unique Christmas painting with Christmas lights. Use a blank canvas from a craft store, draw the pattern you want on the back. 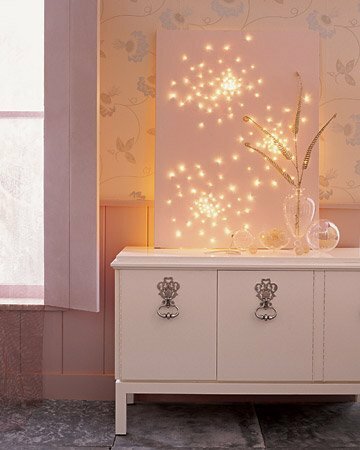 Punch small holes along the pattern, and insert small firefly lights to create a unique, lit canvas you can use year after year!